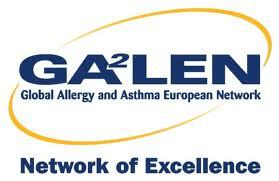 GA²LEN is a Network of Excellence of the leading European clinical and research facilities in the field of allergology and asthma, associated with EAACI and the organisation representing European patients with allergies and asthma (EFA). Started under the European Union Sixth Framework Programme for Research, GA²LEN has become a model project in Europe. EAACI-GA²LEN Allergy schools take place in winter and summer for educational purposes, and in order to stimulate the social contacts between young people interested in allergy and clinical immunology. These courses are arranged in collaboration with the EAACI National Membership Society of the host country.